Safety. The safety aspect of the vehicle is what sold me in the car. I bought my Volvo new is 2004. I love the room in my car. It is a v70 which is a station wagon. It has leather interior and is very comfortable. I never had any major problems with it until about four months ago. First I had to replace the radiator and fan. ($800) next, spark plugs and a mixture of a lot of other things. ($2300) next, the power steering column ($1400) I bought this car originally because it is considered the safest car around. It only has 176, 000 miles on it but I am finished spending anymore major money on it. 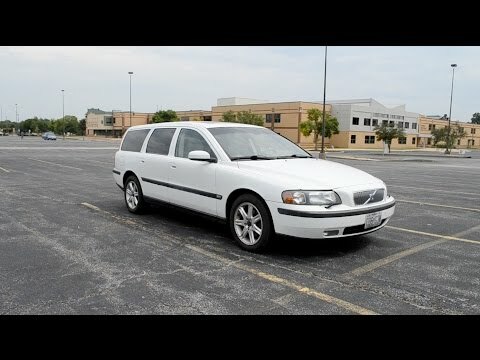 Volvo v70 wagon is great vehicle. The Volvo v70 wagon is a great car. there's plenty of power and good mpg. We love the fact that there's enough room for our five children with good safety features. We have had an issue with the radio not turning on and the front door handles broke from normal use. We also wish we would have gotten a model with a roof rack. Volvo has some of the best safety ratings of all cars. It is old so there are lots of costly repairs these days. It drives well, the pickup is awesome, it is extremely comfortable. Gas mileage is decent. It has an 18 gallon gas tank. It also will last you a very long time. It is a very good commuter vehicle, have you seen that safety rating..